The Quang Ninh Electricity Company is carrying out the installation of solar panels for 15 households residing on Tran island, Thanh Lan commune, Co To Island district, the northern province of Quang Ninh. These solar panels with capacity of 1kWp will enable these households to have sufficient power for their daily activities, while they are waiting for being connected with the national power grid. Solar panels will also be installed for 178 households in Mong Cai, Hai Ha, Tien Yen, Ba Che, Binh Lieu, and Hoanh Bo, given they live in remote areas, far away from the national power grid, according to the provincial People’s Committee. Experts said solar panels bring the highest efficiency in terms of investment and environmental protection. The installation, which has a total investment of 55 billion VND sourced from Quang Ninh’s budget, is expected to complete before January 28, 2019. 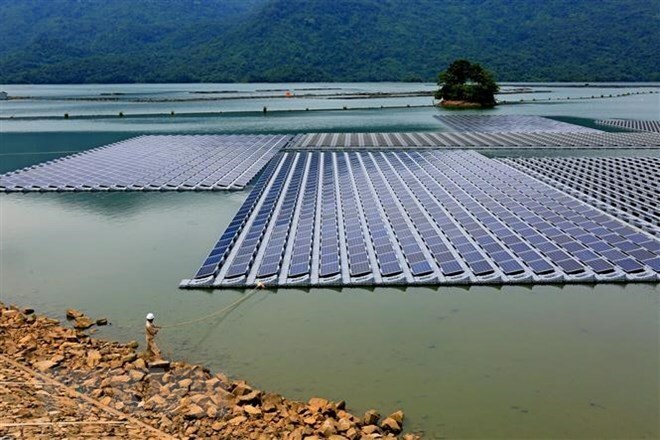 Solar power is attracting great attention from the Government and businesses as the development of solar energy, one of the renewable energy sources, is a new orientation in Vietnam. In April 2017, Prime Minister Nguyen Xuan Phuc issued a decision on mechanisms for encouraging solar power development.